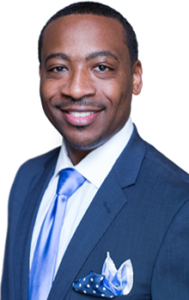 Cameron James is Founder and President/Broker of Legacy Realty Group, Inc. Mr. James brings 10+ years of combined mortgage/real estate experience to his organization. He epitomizes integrity, energy, hard work and creative service in every detail of your real estate transaction. He has worked in every dimension of the industry representing sellers, buyers, investors and lenders; in both the residential and commercial markets. After graduating from the University of Alabama-Birmingham, he has since built a successful career in business and real estate. Cameron is passionate about the needs and goals of his clients, and he specializes in bringing peace of mind to home sellers who have previously struggled with selling their homes. Cameron utilizes his expertise to proactively address concerns before they become problematic. In addition to his real estate education and his experience, he has been mentored and trained by many of the most highly acclaimed real estate coaches in the industry. To insure efficient, superior service for you, Cameron’s associates and staff have been carefully selected from the very finest agents in the business to form a close-knit “family.” At LRG, the goal is to offer seamless assistance to you during every step of your real estate process. Cameron grew up in the Huntsville, AL area and comes from a background of sports, music, and a love for God. He is a family man with a devotion to God, his beautiful wife, and two boys. He spends his spare time coaching and training his boys in basketball. He also writes music and is an accomplished pianist. Cameron has traveled extensively playing keyboard for various artist. Being a music professional and former athlete, he brings an ingenious perspective to the real estate industry that has proven to be not only innovative, but very successful. His contagious yet genuine personality inspires those he comes in contact with. Cameron has received numerous sales awards and recognition, yet he attributes all of his achievements to his Lord and Saviour, Jesus Christ. Please call Cameron anytime for consultation without any obligation. He is ready to go to work for you today! Contact Cameron James at (205) 966-2645.